Friends’ Cast will finally reunite, but where are they now? 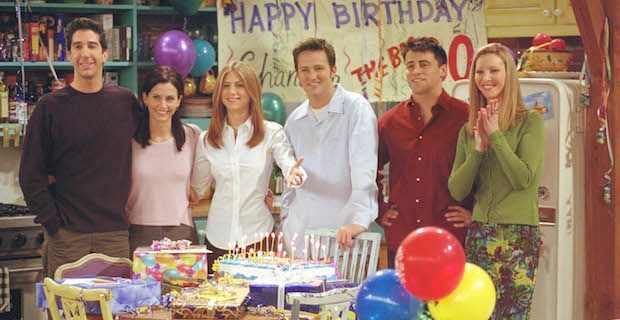 From 1994-2004 the Friends cast were loved by many around the world. For over a decade fans have been hoping and praying that one day they would reunite. Well, that day will be here on Sunday, February 21st. But what have these actors been up to in the meantime? Rachel-Jennifer Aniston Since the end of the TV series, Aniston has been no stranger to the big screen. She has been spending her time working on Rom Coms such as Along Came Polly, The Break-Up, Marley & Me, We’re the Millers and many many more. Most recently she worked on the sequel film, Horrible Bosses 2 and the drama Cake which earned her a Golden Globe Nomination. Besides films she has also released 3 different perfumes, Lolavie in 2010, J in 2014 and Near Dusk in 2015. Monica-Courteney Cox Cox’s most famous work has been acting and directing the TBS sitcom Cougar Town which earned her a Golden Globe nomination in 2009. She was also in the FX comedy, Dirt and has appeared on a few of Lisa Kudrow’s web series Web Therapy. Ross-David Schwimmer Schwimmer’s largest role has been as the voice of Melman the giraffe in animated film Madagascar. He also featured in the films Big Nothing, Nothing But the Truth, John Carter and The Iceman. He made his feature film directorial debut in 2007 with Run, Fatboy, Run and Trust in 2010. Joey-Matt LeBlanc Right after Friends finished, LeBlanc continued on with a spin-off appropriately titled, Joey. It only lasted 1 ½ seasons and ended in 2006. He currently is known for his role in the Showtime series, Episodes, where he plays a fictional version of himself. He earned a Golden Globe for Best Actor-Television Series Musical or Comedy in 2012. Chandler-Matt Perry He has been in a couple films such as The Whole Ten Yards in 2004 and most recently 17 Again in 2009. He was nominated for an Emmy in the Outstanding Guest Actor in a Drama Series for his role in The West Wing both in 2003 and 2004. Currently he is part of the cast, writer and Executive Producer for the TV series, The Odd Couple. Phoebe-Lisa Kudrow Last but certainly not least is Kudrow. She has been busy starring in films such as P.S. I love you, Hotel for Dogs and Easy A. She also has a recurring role in Scandal but is mostly known for her work in the improv web series, Web Therapy, which Kudrow writes and stars in. She is also one of the Executive Producers for TLC’s docuseries Who Do You Think You Are which gives celebrities an opportunity to explore their family trees.